Spokane-area universities and community colleges are teaming up to hold a senatorial debate next month featuring Patty Murray and Chris Vance. Gonzaga University will be the site of the U.S. Senate debate scheduled for Sunday, Oct. 16, from 7-8 p.m. The debate will be held in the Ballroom of the John J. Hemmingson Center, at East 702 DeSmet Avenue in Spokane. Spokane co-hosts are Whitworth University, Community Colleges of Spokane, Eastern Washington University, and Washington State University Spokane. 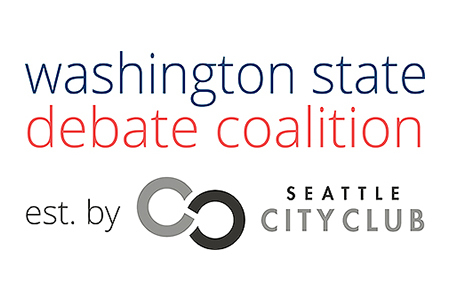 The higher education institutions are part of the Washington State Debate Coalition, a statewide effort founded by Seattle CityClub to increase opportunities for Washington voters around the state to hear from the candidates vying for public office. The October debate at Gonzaga’s Hemmingson Center is an opportunity for Spokane voters to hear directly from the candidates and to pose questions about issues of highest concern. To submit a question, visit http://www.seattlecityclub.org/forms/ask-candidates-your-question. The debates are open to the public and non-partisan. Free tickets are available online at www.gonzaga.edu/SenateDebate2016. The Coalition is organizing free, public debates across the state this fall, including two gubernatorial debates scheduled for Monday, September 26, at Seattle University, and Wednesday, October 19, at Columbia Basin College in Pasco, and a second Senate debate scheduled for Sunday, October 23, at the Microsoft campus in Redmond. Bill Bryant will debate Jay Inslee in the gubernatorial debate. With the help of the Coalition’s 80 media broadcast partners, the debates are expected to reach Washington voters in every corner of the state through television and live streaming. Leads sponsors for the Washington State Debate Coalition are AARP and Microsoft; supporting sponsors include Bill & Melinda Gates Foundation and The Henry M. Jackson Foundation. 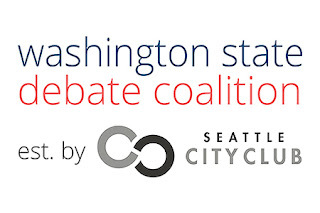 More information about the Washington State Debate Coalition is available at www.seattlecityclub.org/wastatedebatecoalition. Rhosetta Rhodes, vice president for Student Life, Whitworth University, (509) 777-4536 or rrhodes@whitworth.edu.